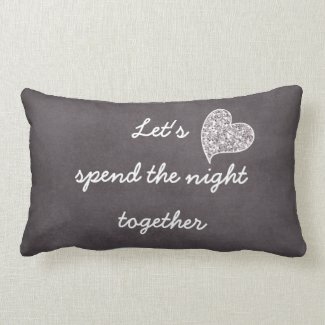 Flirty, romantic throw pillows for the bedroom. 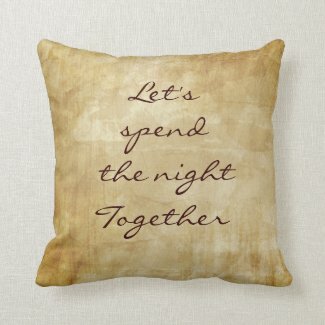 Above is a rustic inspired background with the quote/saying, "Let's spend the night together." Available in many different styles and colors. Pictured below is a smaller version of the pillow in black and white, with a glitter graphic accent.